Many people suffer from toenail fungus or other conditions that affect the appearance of their nails. Toenails can be affected by a variety of health issues, and fungal organisms live in gyms, locker rooms, even clothing, and carpets. Research shows that having unsightly nails often causes moderate to severe embarrassment, and this can result in people abandoning activities they love, like swimming or walking barefoot on the beach. Even though you may be undergoing laser treatment for toenail fungus, or taking oral anti-fungal medication, it can take weeks or months before the increasing health of your nails will be visible. In some cases, it may be impossible to fully restore the appearance of the nail. In the meantime, it’s important to feel good about how your feet look right now. That’s where KeryFlex Nail Restoration comes in. Your nails are an important part of your appearance. Toenail fungus treatments can take a long time to show their benefits, and sometimes health conditions can cause permanent changes in the nails. Until now, there has been no way for people with damaged toenails to have healthy-looking feet. The resins, which are sculpted into KeryFlex Nails, come from Germany, and they are specially designed to be as flexible and natural looking as a healthy nail. 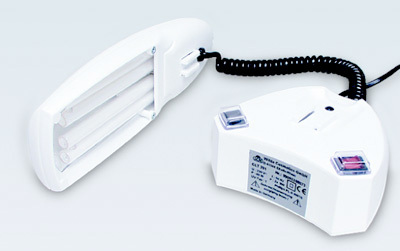 Since KeryFlex Nails move with the foot, you will be able to exercise, swim, go barefoot, and wear fancy shoes. 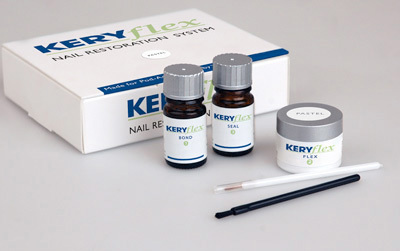 The KeryFlex resin does not bond to the skin or cause any irritation; it creates a natural edge and permits the continued use of anti-microbial solutions if prescribed for the underlying condition. Once the KeryFlex Nails have been applied, you won’t have to keep going to nail salons, trying to adjust the appearance of damaged nails; you will wake up each morning with healthy-looking nails that don’t require upkeep. Meanwhile, if you are taking medication to eliminate nail fungus, your new nails can continue to grow in underneath the KeryFlex nail. The cured resin is impervious to nail polish, hot water, detergents and acetone.